Real Time Farms’ website realtimefarms.com was shut down on April 13th, 2016. We’d maintained the service since joining up with Food52 in 2012, but the number of people helping to crowd-source our food guide had steadily waned since. Given this, we decided it was time, as we announced a couple of weeks ago, to shut down the website. If you would like to access any of the information, you will be able to find it on the web archive (e.g., all farms a-z). We want to thank you all for being such an enthusiastic and caring community. We’re proud of what we built back then and believe that with your support we made an impact in providing access to accurate food sourcing information—it wouldn’t have been possible without you. We wanted to give you a heads up that Real Time Farms will be shutting down soon. We’ve been maintaining the service since joining up with Food52 nearly 4 years ago, but the number of people helping to crowd-source our food guide has been steadily waning since. The recency and accuracy of the information is not what it was, and far from real-time. Given this, we’ve decided it is time to wind things down—in a couple weeks we will be shutting down realtimefarms.com. Beyond that point if you would like to access any of the information you will be able to find it on the web archive (e.g all farms a-z). We wanted to thank you all for being such an enthusiastic and caring community. We’re proud of what we built back then and believe that with your support we made an impact in providing access to accurate food sourcing information, and recognize that it wouldn’t have been possible without you. 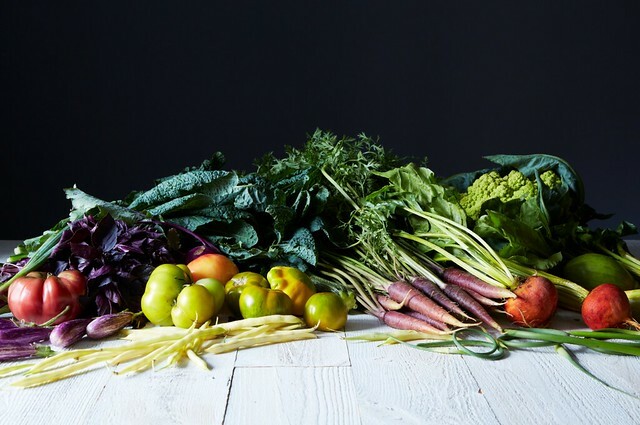 We are thrilled to announce that Real Time Farms has been acquired by Food52. We’re delighted that a company dedicated to helping people become better, smarter, happier home cooks has made a safe home for Real Time Farms. (Like Food52 said, we’re like internet soulmates finally coming together!) Real change happens in our own homes. It’s in the everyday moments of making a meal — whether for our families or ourselves — that we need to easily be able to find food we feel good about eating. RealTimeFarms.com will continue to organize information about farms, food artisans and farmers markets, and it will be maintained by Food52’s ever-expanding team. With 2 million monthly unique visitors, Food52 offers an extraordinary opportunity to connect more people with the sources of their food, while enabling them to continue to expand Real Time Farms’ extensive data set. Thank you for your continued interest in knowing where your food comes from!